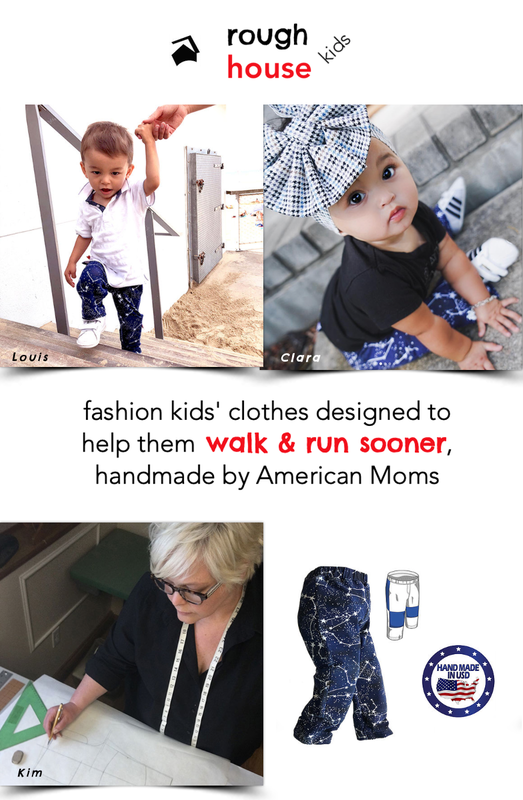 Rachel Bowman is a full-time working mom of three girls under 5. Rachel started Just Getting Things Done when she realized she didn’t want to be that mom that doesn’t have any energy anymore, who thinks everything is a burden or a chore. She wanted to be a mom that enjoys her children and her life. 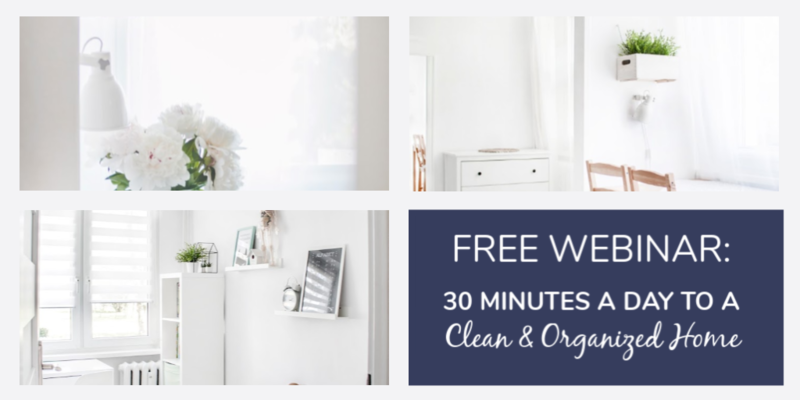 She uses minimalism, productivity and time management to do just that. Even if you don’t buy your kids a lot of things, it’s amazing how fast their toys and other stuff can accumulate. Our kids are in daycare and they’re always bringing stuff home from there, but it comes from everywhere – the dentist, birthday parties, the grandparents. When the holidays roll around, we’re overwhelmed with even more stuff. 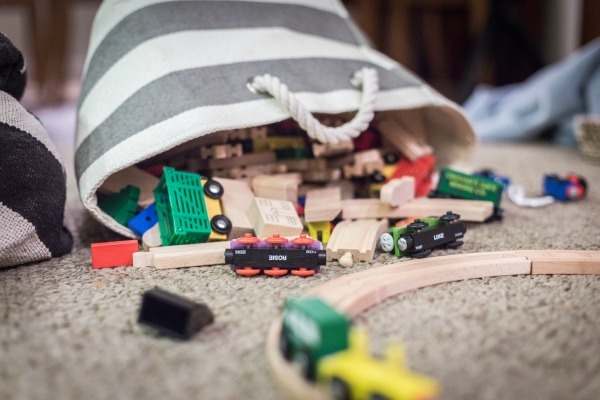 So it’s a great time to do some decluttering – and why not start with the kids’ toys? You’ll probably need to find room to put all the new stuff they got anyway. I have three girls, the oldest are 2 ½ and 4 ½ years old. Their toys were out of control and I decided we needed to do something about it before the holidays. I wanted to make at least a first pass before all the Christmas gifts came in. So, we had a decluttering session. Now, if you had told me my 2 year old would be good at this, I would have been a little skeptical. But it’s the truth. She was a lot better at it than I thought she would be. We basically went through each item and I asked them if they wanted to keep it or give it to other kids to play with. This backfired on me a little bit because my 2 year old kept saying “Play with” and I didn’t know if she really meant she wanted to give it to other kids to play with or she wanted to play with it. So I questioned her every time she said it. She chose to give away a lot of toys, as did my 4 year old. There were a few times where I had to try and steer them in the right direction, but overall the whole process went much better than expected. And they haven’t asked for any of the toys back that they chose to give away. There was one doll, in particular, the girls wanted to keep that I wasn’t happy about. It’s a Cinderella doll with a wand. She talks and lights up and when you wave the wand in front of her the lights change colors and she makes even more noise. I don’t like her. I have woken up to them playing with her, and I just can’t stand the noise. Of course, they really wanted to keep her. I told them, “That’s fine, but then I think you need to get rid of these two (similar sized) dolls.” and they agreed to it. We also had several baby dolls. They wanted to keep more than I thought they needed, so I told them they could each pick one. I did let them keep one extra baby doll, but she was a different type. We deal with cheap toys a little differently, and we may employ some other tactics with any Christmas gifts we consider too excessive (I’ll give you a hint – the short story is we get rid of them), but I talk more about that in this post. We were only dealing with regular toys and not cheap treasure chest or birthday party favors this time. 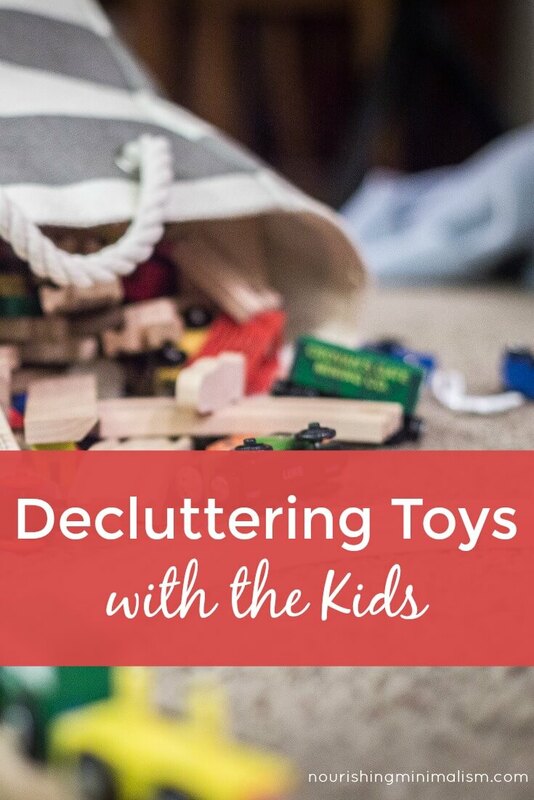 So what did my experience teach me about decluttering with kids? What I mean by this is, try to go into this with an open mind, without preconceived notions about whether or not your child can do this successfully. I didn’t really think my 2 year old could do this, but she could. Maybe you have a child that you think is really attached to their stuff. Give him or her a chance, and see how they respond. Even if your child doesn’t respond as well as you’d like the first time, you’ll have an idea of how to make it work better the next time. Because of course there will be a next time. I will make sure to explain beforehand that we want to give away the toys to other kids who don’t have toys to play with. This is helpful because you can see how many like-items there are. You don’t want to keep finding more of the same thing through the house later because it will just be more work. You also need to know how much there is so you can decide how much to keep. Because while you’re leaving (some) decisions to them, you’re still in charge. It’s hard to make any decisions unless you know what you’re dealing with. Also, If your kids look at each thing separately it’s a lot easier to want to keep every single one. If they can compare it to others, they can make decisions based on what their favorites are. Once you have a category of items together, you can just go through them and ask about each item one after another. I asked about giving the toys to other kids to play with because I wanted them to know what was going to happen to the items. I also wanted to give them some motivation. Giving them to someone else is not like throwing them away. If you ask about each item and find they aren’t willing to get rid of as many toys as you would like, this is what I suggest. Go through all of them. When you reach the end, have them count them with you (if they’re at an age when counting is still fun). Once you know how many there are, you ask if they think they really need that many. Your child may be willing to get rid of a few more just based on that suggestion. You can also just do what I did with the baby dolls – tell them they can only have one of an item. Now, unless you’ve set some guidelines beforehand about how much space or how many items you want to have in each category, you’re going to have to do this on the fly. I found it pretty easy to do on the fly, but if you think it will be a problem, give it some thought before you start. Like my example above about the Cinderella doll, you can always offer your child a deal if they want to keep something you’d prefer they didn’t. Again, this is something you’ll probably have to do on the fly, but I have no doubt you’ll be able to come up with something else you want them to get rid of. And you can up the ante as much as you dare. Have fun with it. Celebrate. Dance. Not your style? Ok, well at least make sure to tell your kids you’re proud of them. You can thank them for helping you or tell them how helpful they were. Our kids always love it when we tell them they’re helpful. It’s important to celebrate too because you want your kids to have fun with this process. This way you’re teaching them good habits at a young age. If you do it without their involvement, they won’t learn what it’s like. You can teach them how to make good decisions about their things and it will just get easier (one can hope) as they get older. I’d love to hear from you – is there anything I missed? Any tips you have for when your kids get older and the type of stuff changes? You can hear more from Rachel on her blog Just Getting Things Done. What Toys Should My Baby & Toddler Have? so good. I couldn’t agree more with being clear with them. I did the same with my 3 boys. I had to be really clear to not confuse my youngest who is 5. It was either keep it or give it away…there wasn’t any other options. Wording is so key with tiny humans. Because they are so smart like that! lol great post! Thanks Dina! So true that wording is key with the little ones. It’s so great to hear that your boys have gotten really good at this Laronda and I’m sure you’ll get your daughter there too! If you do this regularly, they start doing it on their own. Last night my 6yo told me that she had too many shirts and hauled them all into the living room to sort and only took 1/3 back to her room.